What’s a birthday without a little bit of surprise? My husband celebrated his birthday recently. He’s usually down with staying at home, watching a movie or simply eating out. The less fuss, the better. 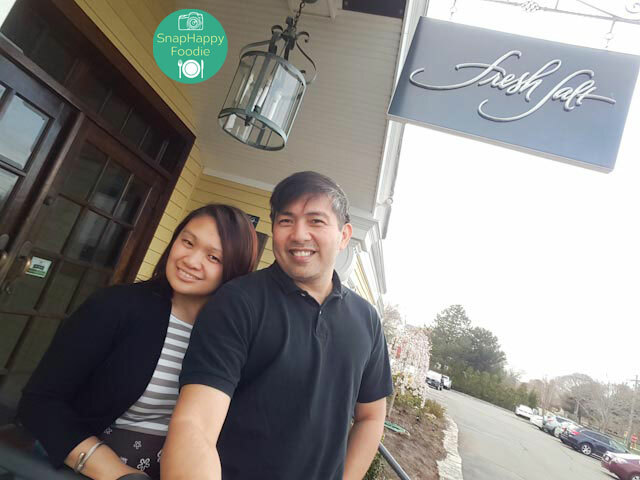 This year though, I decided to surprise him with a nice meal at Fresh Salt and a stay at Saybrook Point Inn in Old Saybrook, CT. We stayed at their Tall Tales Guesthouse before (see post here), loved it and vowed to return. We wanted to stay at their Main Inn. Since it was hubby’s birthday, it was as good a time as any. I’ll post separately about our lovely room at the inn. The first part of the surprise was a late lunch at Saybrook Point Inn’s award-winning restaurant Fresh Salt. I made reservations for the two of us, so we got seated quickly. Yay! 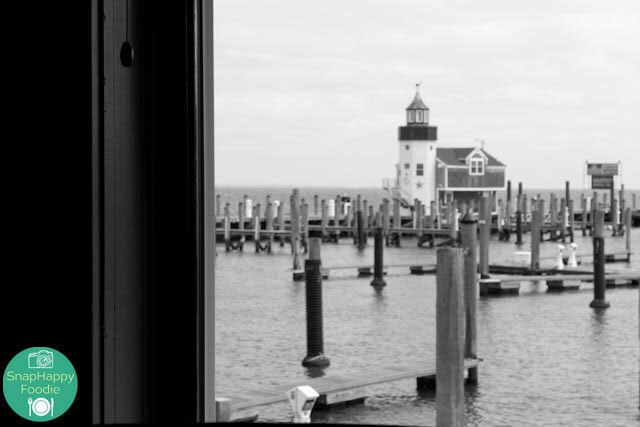 We had this view of the Lighthouse Suite from our table. You can actually book a stay there. Nice, right? Maybe next time. We both ordered this Summer Fizz. 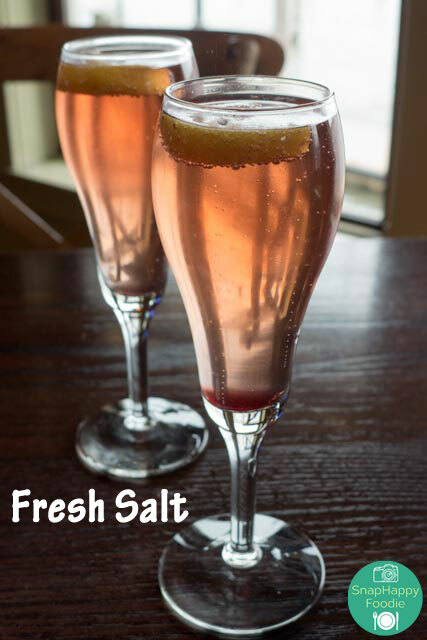 It has champagne, pomegranate juice, pomegranate seeds with a lemon twist. 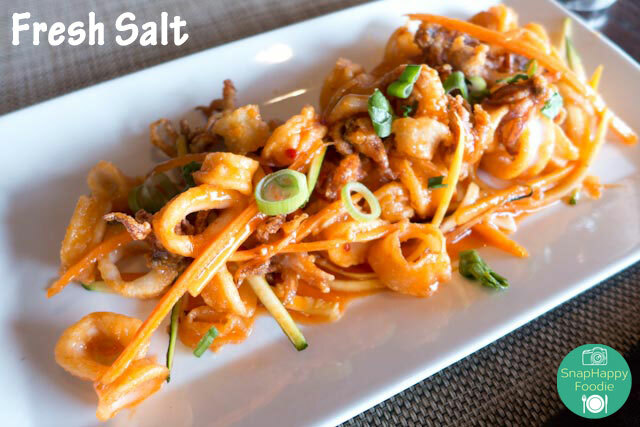 Here’s what I ate: Sriracha-Style Calamari described in the menu as “Golden Brown, Sweet Chili Glaze, Scallions, Spicy Cherry Peppers, Julienne Fresh Vegetables”. Hubby’s Seaside Tempura Platter had Golden brown scallops, oysters, calamari, zucchini and peppers. 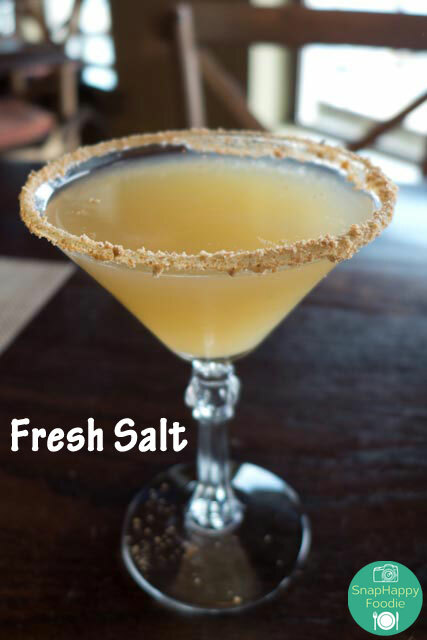 Here’s another tasty drink: Key Lime Martini. 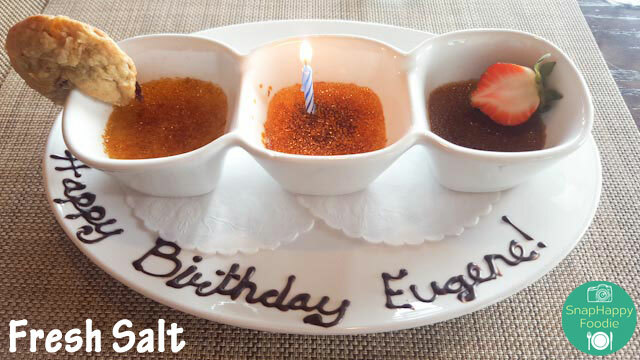 He didn’t know that I ordered these birthday desserts for him. Sneaky eh? It’s the Spring Trio with Chocolate Mousse, Semifreddo Berry Panna Cotta and Pistachio Macaroon. After eating lunch, we checked in at the hotel. 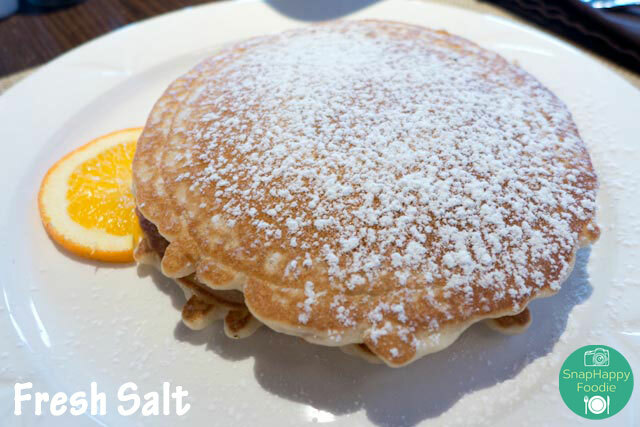 The next day, we ate breakfast at Fresh Salt again. 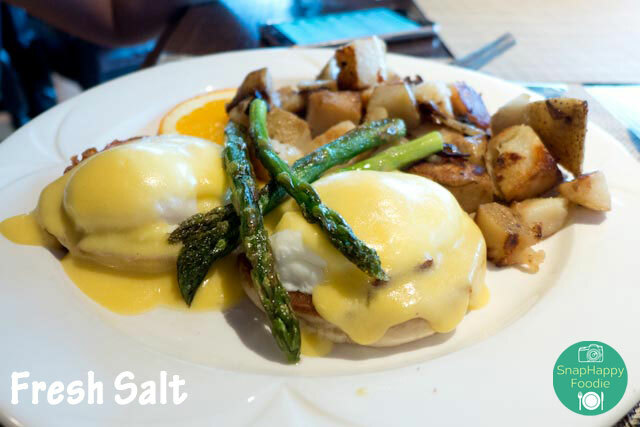 He had Eggs Benedict with poached eggs, Canadian bacon, asparagus spears on English muffin topped with Hollandaise sauce. I tried their house-made Granola Pancakes. Verdict: When I made reservations at Fresh Salt, I told them that I wanted outdoor seating because we were bringing along our little dog. The day we went there though, it was pretty cold outside. The hostess asked about our little dog. Thankfully, our little guy slept all bundled up in his carrier in the car while we ate. For that, they already earned brownie points from this furbaby mama because they welcome pets. 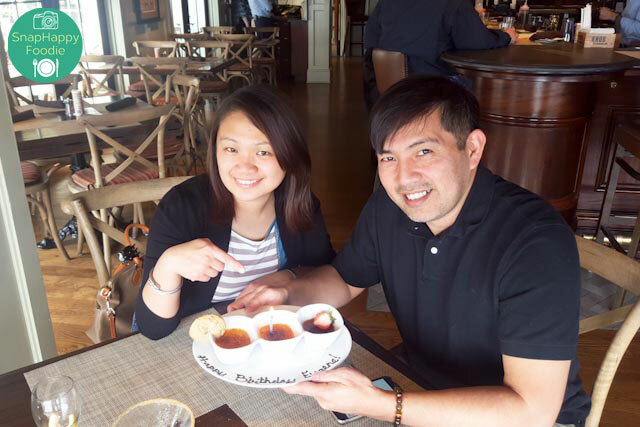 Starting from the hostess to our server, service was gracious and responsive. 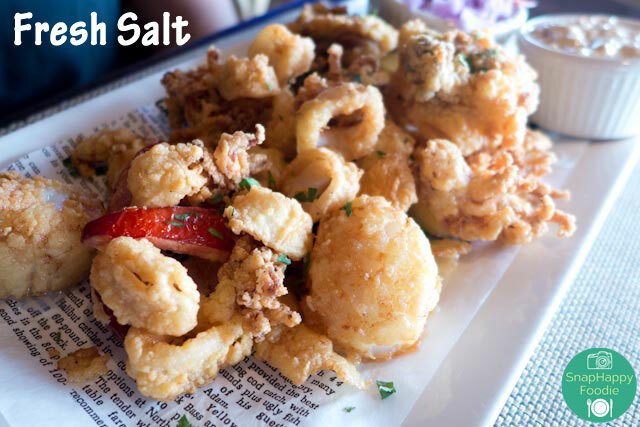 Food-wise, with their fresh ingredients cooked-to-order, they serve delicious seafood in season and priced to market conditions. 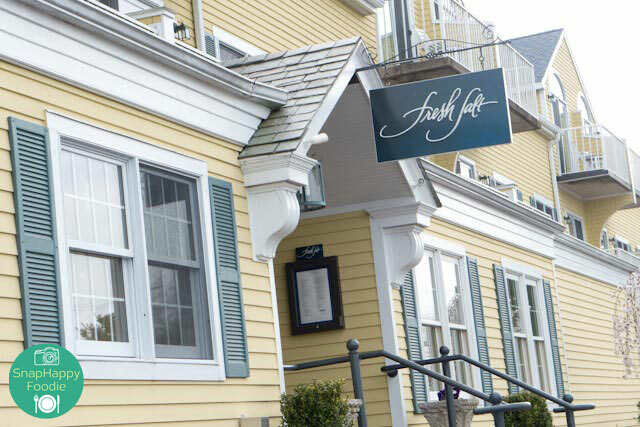 With its casual vibe and lovely views of Long Island Sound and the Connecticut River, Fresh Salt is perfect for any special occasions like birthdays and anniversaries, or even for an intimate date night.